This video shows the director of a leading bariatric hospital in Tijuana discussing the different countries from where the patients come to him. Other than weight loss surgery, patients visit the hospital for plastic surgery and dental work, especially for getting the dental implants. Most of the patients coming to the hospital are from the United States and the prime reason for coming to the hospital is the quality treatment by a set of skilled surgeons, that too at affordable costs. “With the time, with the amount of patients we receive here, we see that we receive patients of different countries. We receive a lot of patients from Central America, we receive a lot of patients from Mexico and we receive big, very big amount of patients from the United States. Especially they come here for bariatric surgery. Whether its gastric sleeve, lap band, gastric bypass or duodenal switch surgery, Mexico offers them all at a much affordable prices than the West. Pocket friendly bariatric surgery, highly skilled and qualified surgeons, draw many medical tourists to this leading bariatric hospital in Tijuana, Mexico. Also the post treatment clinical care being offered to the patients is good. God nursing care and advanced line of treatment being given to the patients also helps in fast and quick recovery. 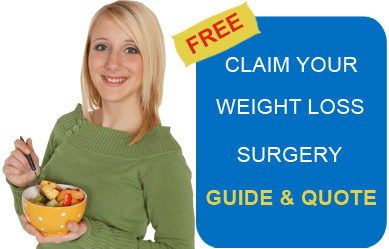 Submit the free request quote form on the right for more information on leading bariatric hospital in Tijuana, Mexico.